Excuse the blog post title, but we’ve been bit by the holiday bug over here at the Slick Text office. 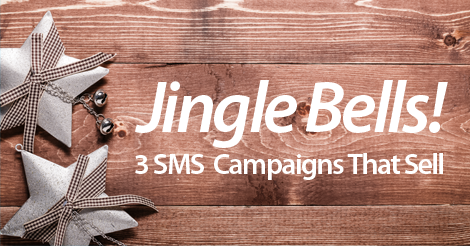 With that said, let’s get right down to business and discuss our three favorite SMS marketing campaign formats. If your bread and butter comes from an e-commerce store, fire out limited time only mobile coupon codes. For example, let’s say you own an online holiday wreath boutique. Fire out an SMS marketing offer that reads, “Use coupon code PINE to receive 20% off your holiday wreath order, TODAY ONLY.” If you want to take it one step further, take advantage of our unique promo codes feature to generate one time use coupons. If you don’t own an ecommerce store, or have some sort of online presence, in person discounts are your next best option. This type of promotion is perfect for restaurants, as it encourages more foot traffic and night of patronage. Remember, don’t forget to include the actual “show this text” call to action. Unfortunately, a handful of our users sometimes leave out this important step. People love contests, so why not use this popular concept to grow your SMS marketing list? It’s the best way to reward your subscribers for their loyal patronage, as well as encourage new sign ups. This is one of our favorite, go to SMS marketing features, and rightfully so. It’s probably the easiest way to grow your SMS marketing list in a short period of time. Partner up with the top SMS marketing provider, Slicktext.com. You can get in touch with our awesome customer support team by dialing 1.800.688.6290 or shooting us an email at info@slicktext.com. We’ve packed our feature rich platform with tons of educational tools that empower you, the new SMS marketing user, to succeed.